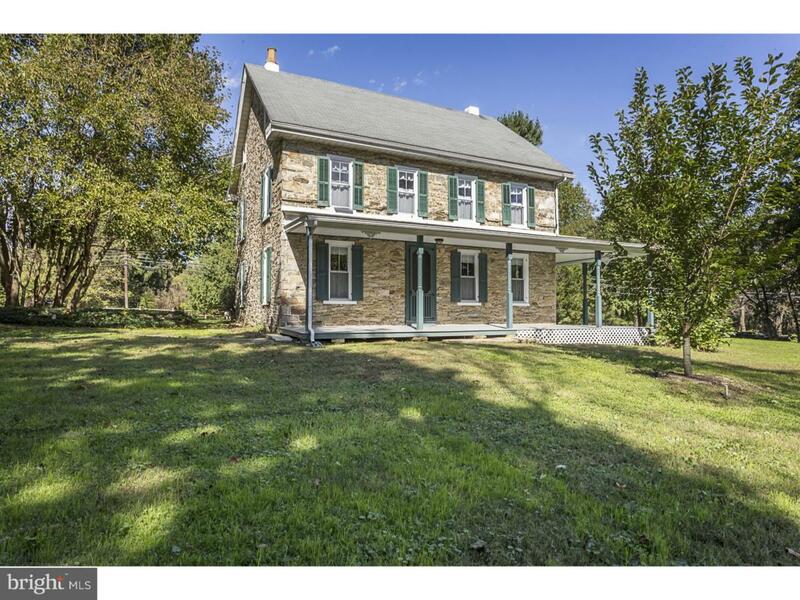 Own a piece of Chester County history in this gorgeous 5 bedroom, 2 bath home in Sadsbury Township. This home was once the mill house for the historic Pomeroy Mill, one of Pennsylvania's oldest mills. Dating prior to 1734 the mill, no longer in operation, conveys with this stunning 3.5 acre property. For use as a multi-unit, or easily converted back to a large single family dwelling boasting over 3,200 square feet, this home is a must see. Currently used as a two unit property, the lower floor of this home holds two bedrooms and one bath. The second floor unit of the home holds three bedrooms and one bath. The pride of ownership in this home can be found in the preserved and well-maintained details such as the pocket doors, hardwood flooring, and ornately hand carved mantles and stairway banisters. The eye catching allure of this property does not stop there as you step onto the sprawling wraparound porch and take in the idyllic views of the countryside. Featured in publications lauding the beauty of Chester County and the preservation of its history, tour this breathtaking property today.